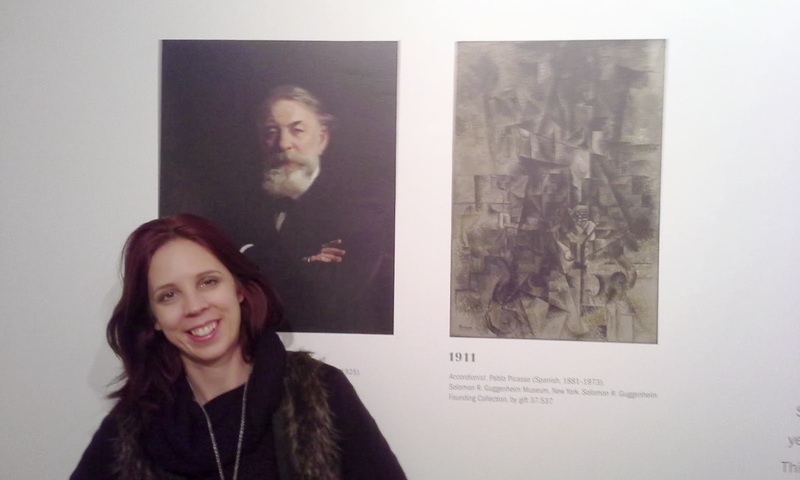 The Purple Scarf: Exhibit: Visiting The Guggenheim In Toronto! Heya! Last week was an extremely cold and bleak week in Toronto. I had to do something to break my sullen mood that the weather brought on. 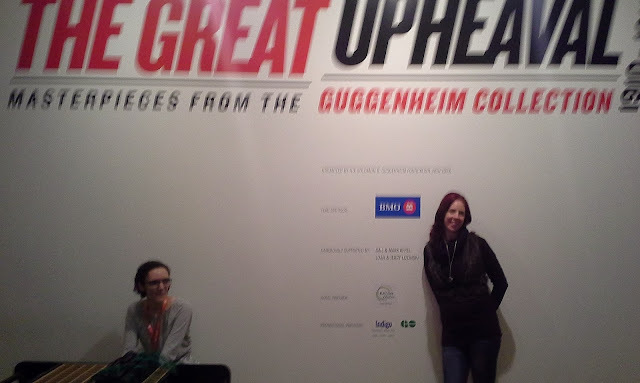 I decided to take the opportunity to visit the Art Gallery of Ontario's newest exhibit The Great Upheaval: Masterpieces from The Guggenheim Collection, 1910-1918. Although the name suggests a more explosive exhibit, like some of the AGO's most recent major exhibits, The Great Upheaval is very simplistic and subdued. The almost 70 paintings are hung on stark white walls and spread out among 4 large galleries, with a few sculptures displayed throughout. I find it interesting that the exhibit is presented in such serene and spacious surroundings while the time period depicted is one of chaos and turbulence. 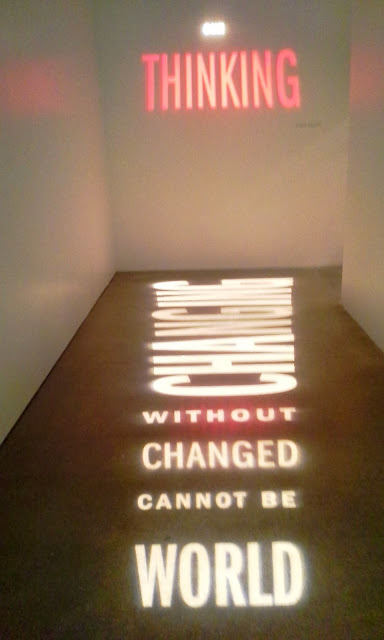 Because of the weather, there were not many people at the exhibit so I could take my time and peruse without interruption. But even if the exhibit was busy, I would still have plenty of room to stop and admire the magnificent art from some of the most famous and influential artists. Work from artists like Pablo Picasso, Marc Chagall, and Vasily Kandinsky are on display and some famous pieces like Franz Marc's Yellow Cow from 1911 and Henri Matisse's The Italian Woman from 1916. The exhibit starts off with a text panel explaining the history of the Guggenheim Museum in New York, and on the time period 1910-1918. The four galleries are separated into 4 distinct time periods and are arranged in chronological order. Each gallery has large text panels that explains the technological advancements, historical and cultural events, and the lives of the artists. It was interesting to see how each artist's style changed over the years and how they were influenced from what was happening in society. 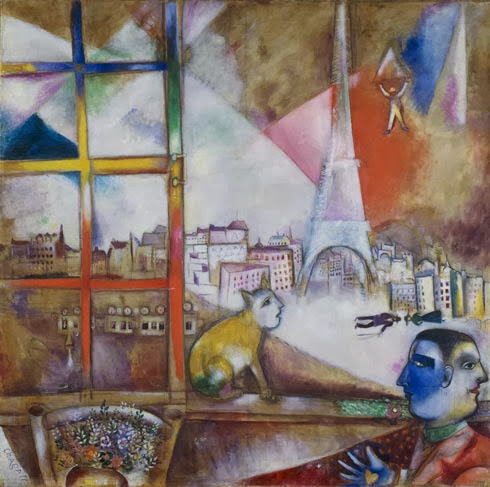 One of my favourite pieces was Marc Chagall's Paris Through The Window from 1913. I loved the vibrant colours and the avant-garde style. And the cat is fabulous! I enjoyed The Great Upheaval. It was a great peaceful (and warm) way to spend an afternoon during a crazy (and very cold) week. 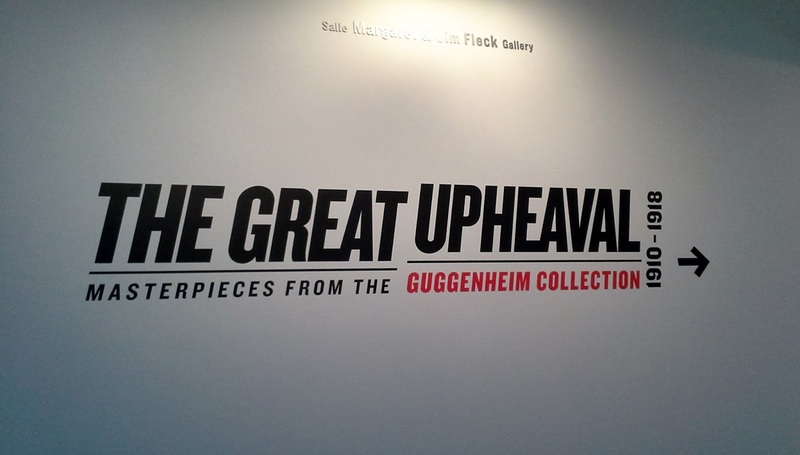 It's also a great way to see a "greatest hits" collection from some of the most famous artists from the early 20th century. 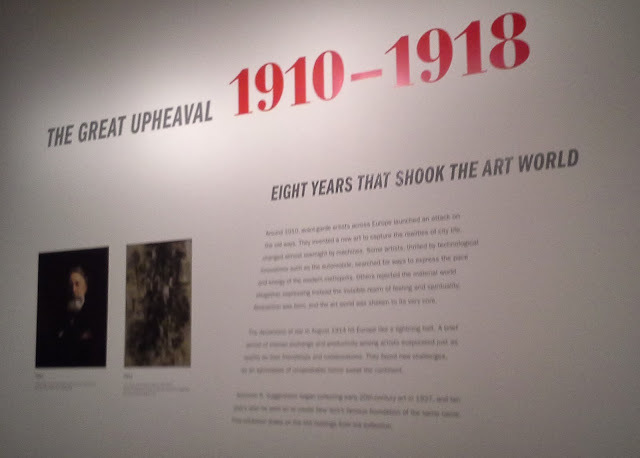 The Great Upheaval: Masterpieces from The Guggenheim Collection, 1910-1918 runs until March 2, 2014 at The Ontario Art Gallery. For more information please visit www.ago.net. And P.s! 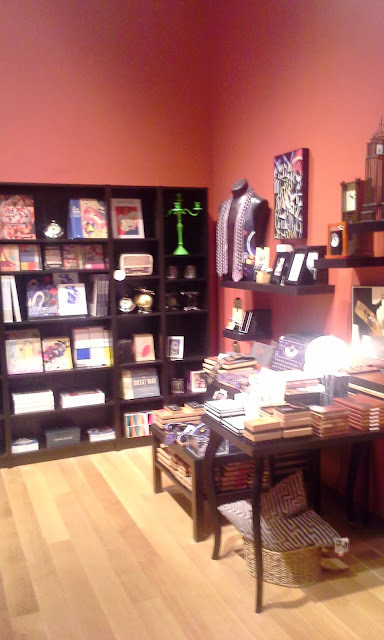 : The gift shops, both the exhibit and main shop, have some amazing and unique items for sale. Home decor, books, jewelery, and of course artwork, are all for sale at reasonable prices. I have my eye on some fabulous chandeliers. I'm going back soon to not only enjoy some great art but to shop!